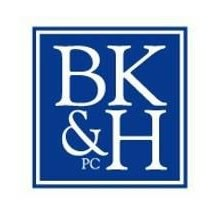 Contact us at the law offices of Ball, Kirk & Holm, P.C., to schedule a no-cost consultation about your legal matter. Trust our experience to provide personalized legal solutions for you. For more detailed information about personal injury claims, visit our Personal Injury Information Center on this site. Our past clients have included businesses and private individuals from throughout Iowa and beyond. We have appeared before every level of state and federal court in Iowa, representing clients in a broad array of cases, including personal injury, workers compensation, medical malpractice, and products liability. We are deeply committed to serving our community. All of our attorneys attended Midwestern colleges and universities. We know the people of Iowa and the Midwest and the issues they face, and we are proud to represent them. Having close ties to our community means that we take great care to maintain our clients’ confidentiality while promptly answering their legal questions. The hard work we put into building our team and gathering the best in legal technology allows us to serve our clients quickly, efficiently and thoroughly. Contact us at the law offices of Ball, Kirk & Holm, P.C., to schedule a free consultation about your legal matter. The law offices of Ball, Kirk & Holm, P.C., represents clients and businesses in communities throughout Iowa, including cities such as Waterloo, Mason City, Dubuque, Marshalltown, Cedar Rapids, Des Moines, Davenport, Cresco, New Hampton, Grundy Center, Independence, and West Union. * Martindale-Hubbell is the facilitator of a peer review rating process. Ratings reflect the confidential opinions of members of the Bar and the Judiciary. Martindale-Hubbell Ratings fall into two categories - legal ability and general ethical standards.